Now in existence for 30 years, Habitat for Humanity of the Rio Grande Valley continues to expand its programs and offerings to the community. We hope you will be able to take part in one or more of the many exciting events we are offering this year and experience firsthand the pride we take in bringing people together to build homes, communities and hope. It is our mission to bring people together to build homes, communities and hope. We believe everyone deserves to live in a decent home. Together we can make a difference in our community for a better tomorrow. In order to meet our mission and provide services in our community, we rely on the generosity of individuals and businesses for support. Without the assistance of the community-minded individuals just like you, we wouldn’t be able to serve those in need in our community each year. If you are looking to purchase a home and willing to relocate to the Cities of Harlingen, San Benito or Primera Texas. 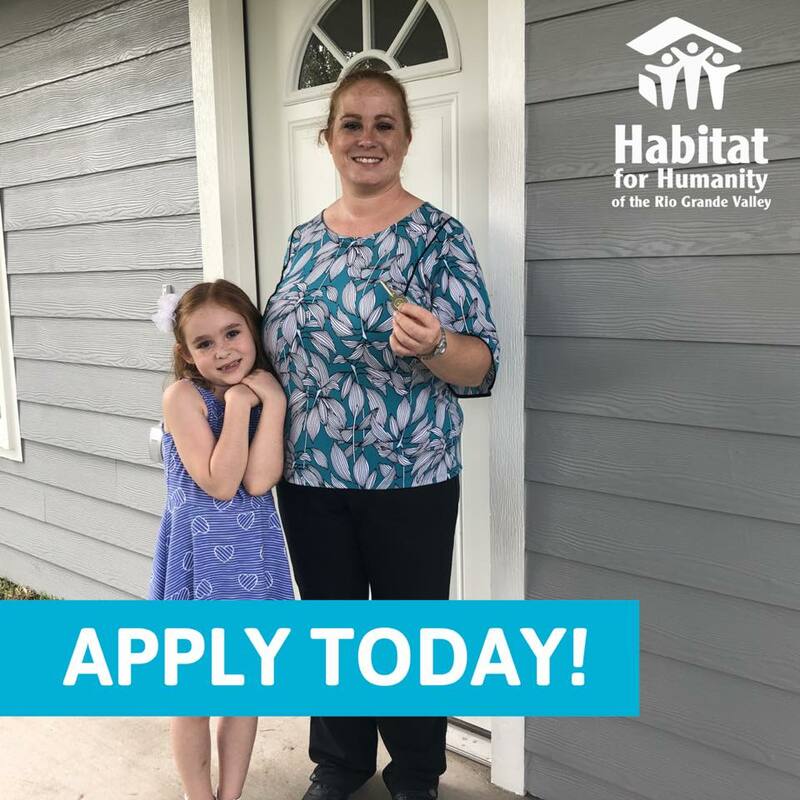 The Housing Ownership Program of Habitat for Humanity of the Rio Grande Valley is looking for families that meet our requirements for the construction of a new home. There needs to be a steady income between 30 % and no more than 60% of area median income (between the yellow lines). If you fall below the blue line but above the 60% limit, do not be discouraged we might still be able to help. Necesitan tener un ingreso estable entre el 30 % y no más del 60 % del ingreso medio del área (entre las dos líneas amarrillas). Si cae por debajo de la línea azul, pero por encima del límite del 60 %, no se desanime que todavía podríamosser capaz de ayudar.